Gabriel Scala has been an educator since 1998 when she accepted her first teaching position as an 8th grade English teacher at Carter G. Woodson Middle School in Hopewell, Virginia. After three years of teaching in secondary education, Gabriel went back to school to pursue graduate degrees in Creative Writing and English. 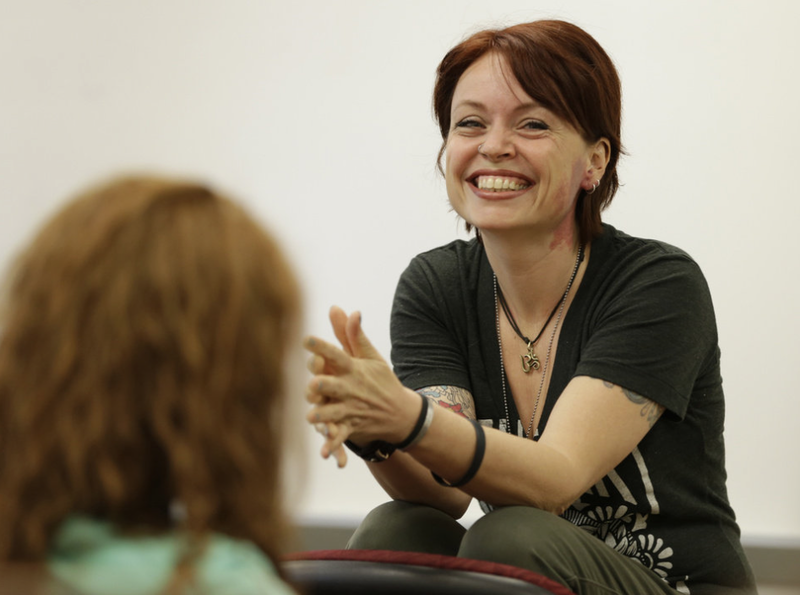 Since 2001, she has taught creative writing in both introductory and genre specific workshop formats, applied, technical and professional writing, and various levels of expository writing – from first-year to advanced composition. Gabriel has also taught a wide variety of literature courses – from sophomore surveys to graduate-level courses in Modern poetry and print culture – and she has developed and taught special topics courses in creative nonfiction and publishing, among others. After nearly 20 years in the classroom, Scala’s interests and career goals have evolved into a deep commitment to curriculum design, program administration and faculty development. She currently holds the position of English Education Programs Coordinator and works with teacher candidates seeking initial and advanced licensure in secondary education. Dr. Scala was awarded the Sallie Mae Teacher of the Year Award her first year teaching as well as successive Outstanding Performance Awards from the Hopewell City School District. She also received the Lawrence “Shaky” Yates Award for Best Composition Instructor from the University of Mississippi and the Outstanding Faculty Award for the College of Liberal Arts at Ashford University. She is certified by Quality Matters as an online course developer and reviewer and successfully completed the Association of College and University Educators’ (ACUE) program in Effective College Instruction in 2018.